In March 2016 Brexit became official, at the end of March 2019 it will be a done deal, and after a transition period it will be legally signed as a binding treaty by the end of December 2020. That’s the time scale so it’s time for British citizens living abroad to look at how it will affect them and take steps to protect their interests. 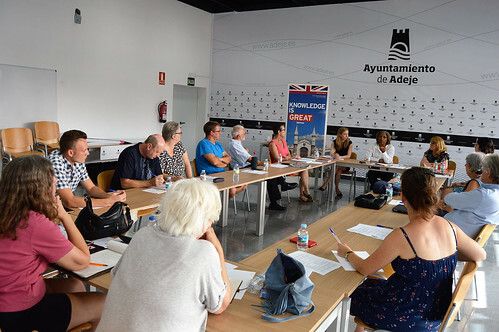 On that basis a team of British Consul staff came to Adeje on Thursday 5th July to outline the facts to date, the road signs already in place, and sound advice on potential potholes along the way. 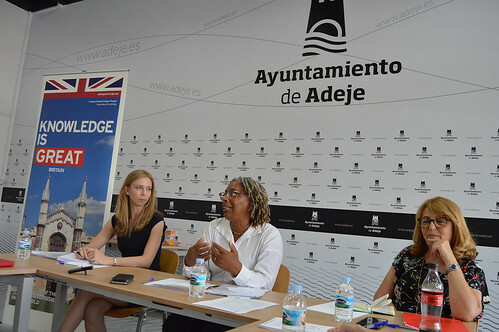 Charmaine Arbouin, British Consul for the Canary Islands and Andalucia, headed the meeting, aided by Helen Diaz de Arcaya Keating, British Vice Consul in Tenerife, and Lorna Geddie, Regional Consular Policy Advisor for Spain and Portugal. Round the table were 13 representatives of local media, and advice groups, ready to pass the message to as many people as possible. Charmain started by tackling the biggest expressed concern, citizens rights. We learnt that basic agreement had been reached as a priority last September. We were advised that the key to protecting our rights as ex pats is to be legal. “The NIE and Padron are both important but the main need is to be registered as extranjeros (foreign citizens), that´s the old green A4 form or the more recent card. It doesn´t have an expiry date and it doesn´t need to have the permanent status.” This was music to my ears as I still have my green A4 form ( and so does Charmaine). However it is a good idea to check if your form is still on your local councils system, paperwork here can be a little “elusive” at times. Driving licences were also raised, Lorna said there were no changes planned and it was still the plastic card with a photo until it expired, and then change to the newer paper version. All three consul members stressed the importance of people power. Officially there are only 280,000 Brits living in Spain, if more are visible and committed to the country then they will have more influence in any proposed changes. 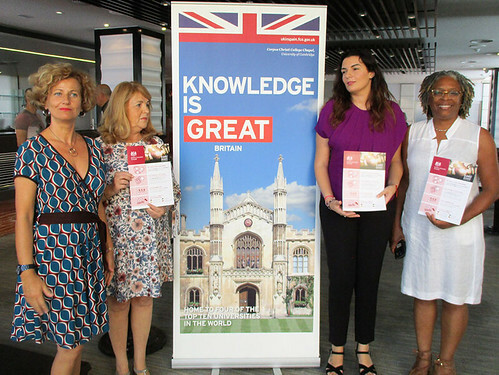 The British Consulate´s role is varied and the next morning there was another meet up, this time at the Arona Gran Hotel in Los Cristianos get the lowdown on the new Travel Aware campaign encouraging safe tourism. 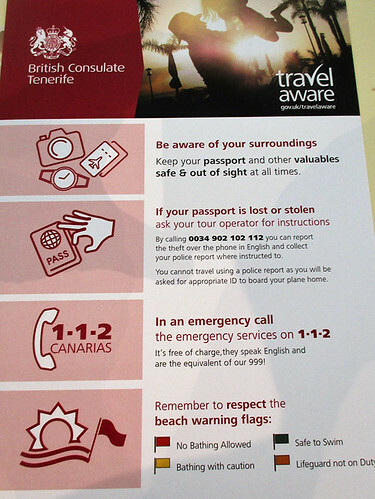 The leaflet below explains the four main areas it deals with so in keeping with the short sharp messages designed by our host, Consular Officer, Penny Gomez, I will just add a few extra points. Help is available in English in the case of reporting stolen passports, and emergency calls. The crime report you collect is not enough to get you on your flight, follow this link to see how the Consulate office in Santa Cruz can get you a quick replacement. Think of the British Consulate as a safety net for the rare times when things may go wrong. What about those of us who own property on Tenerife and want to continue to spend around 6 months a year on the island? Shouldn´t make a difference. I´m an owner myself and haven’t heard any reason to worry on that score.